The realm burns. Vaelin Al Sorna is tired of war. He's fought countless battles in service to the Realm and Faith. His reward was the loss of his love, the death of his friends and a betrayal by his king. After five years in an Alpiran dungeon, he just wants to go home. Reva intends to welcome Vaelin back with a knife between the ribs. He destroyed her family and ruined her life. The first book was a solid military tale with an interesting twist. 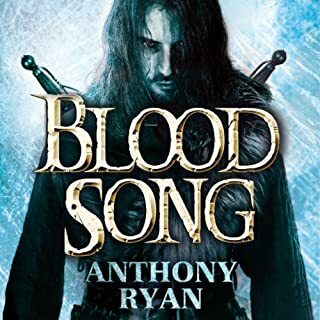 The follow up is widely criticised for being wide of the mark in the qualities that made Blood Song good, and I have to agree. Beyond that, the narration lacks entirely in characterisation, the voice artist giving no variety of tone or accent to the wide cast of characters - at times I had no idea who was speaking in any given conversation. Overall, a C at best. We have fought battles that left more than a hundred corpses on the ground and not a word of it has ever been set down. The Order fights, but often it fights in shadow, without glory or reward. We have no banners. Vaelin Al Sorna is the Sixth Order's newest recruit. 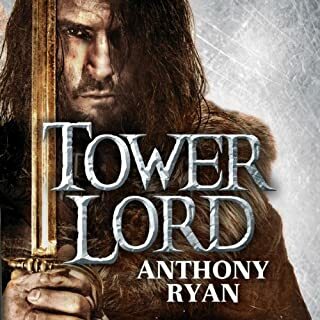 Under their brutal training regime, he learns how to forge a blade, survive the wilds and kill a man quickly and quietly - all in the name of protecting the Realm and the Faith. Now his skills will be put to the test. Pretty good overall, had some dialogue issues with the narrator not giving enough differentiation between characters at times. 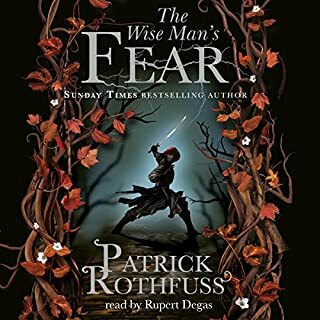 Sequel to the extraordinary The Name of The Wind, The Wise Man’s Fear is the second instalment of this superb fantasy trilogy from Patrick Rothfuss. This is the most exciting fantasy series since George R. R. Martin's A Song of Ice and Fire, and a must for all fans of HBO's Game of Thrones. Best narration I've come across in an audiobook to date. Excellent story, Rothfuss ignores many plot conventions and, although sometimes it feels meandering and aimless, it is thoroughly engaging.